Instead of going to a lot of trouble looking up complicated recipes and slaving over it in the kitchen, why not have all the catering taken care of by using experts in the industry? It’s not just catering and cakes you can have sorted either- they will also often provide lots of other services – even activities for kids. Caterers will also be able to help you find kids birthday party venues too if you don’t have your own planned. Switch from doing it yourself to party hire today! 5 tips to make your kids' birthday party even better! Why is using a cakes and catering service a great option? You can have everything taken care of for your kids’ birthday parties with a professional catering service. Apart from supplying visually stunning and delicious products, our list of party planners can also help you with any special diet requirements that would be tricky to get around yourself when preparing kids party food. You, your kids and the rest of your family can all enjoy lots of other benefits too, such as reduced stress due to minimal planning and cleaning and knowing that no group of children or toddlers are too big or small for professional caterers. Kid’s party entertainment doesn’t have to be a chore! 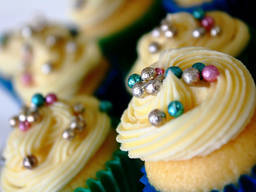 Caterers will be able to help you find kids birthday party venues too if you don’t have your own planned. Switch from doing it yourself to party hire for kids today! What else can I expect with caterers? The best caterers will sit down with you as early as possible before your special event to do some much needed planning. This is when you’ll have a chance to discuss any dietary requirements, special requests and decide on the amounts of food and other things needed. If you want your little one’s event to be unforgettable, you might want to go that extra step further and hire other professionals such as clowns and magicians, or even grand accessories such as a jumping castle or a giant slide! Caterers are likely to be able to help you with contacts for these additional services, as they work at a diverse range of events and will often set up alongside these performers and others. Caterers will also clean up after the event is finished and leave your home or hired venue in the same condition they found it, which is great for exhausted parents after a kids birthday party! Check the ActiveActivities directory for a full listing of service providers.